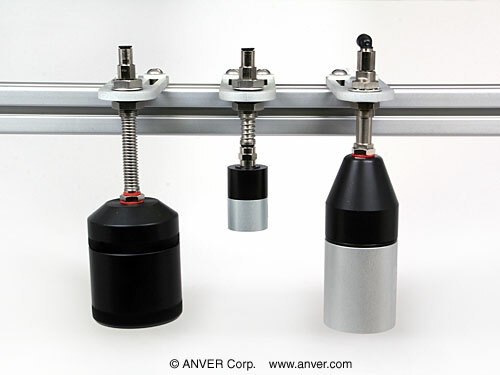 ANVER offers an Extensive Selection of High Quality Bottling Pick-Up Gripper Heads and Related Bottling Equipment Components. 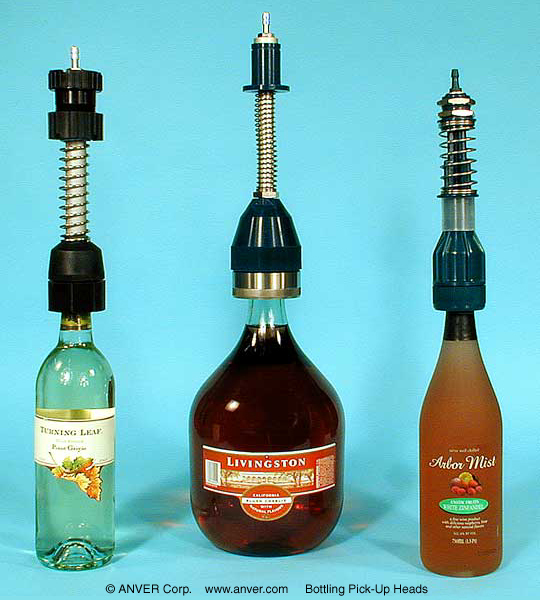 These Bottling Gripper components are used on or interchangeable with all major lines of bottling systems including Krones® and Kettner® that are found in most breweries, the soft drink, wine, spirits, food, pharmaceutical and chemical industries. 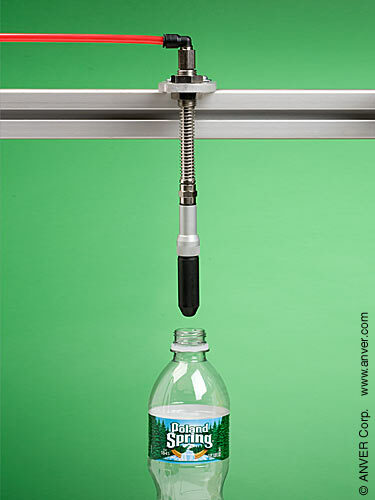 A compressed air powered bladder or piston grips the neck of the bottle and can be adapted to all brands of robotic bottling equipment. 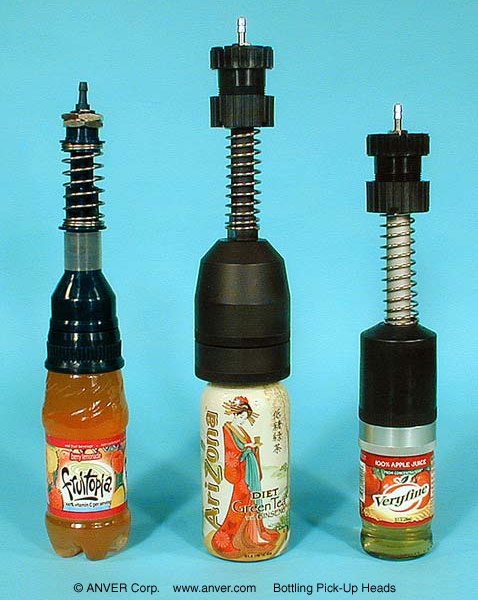 Similar to our vacuum cup suspension assemblies but designed to grip and lift bottles and containers from the neck. 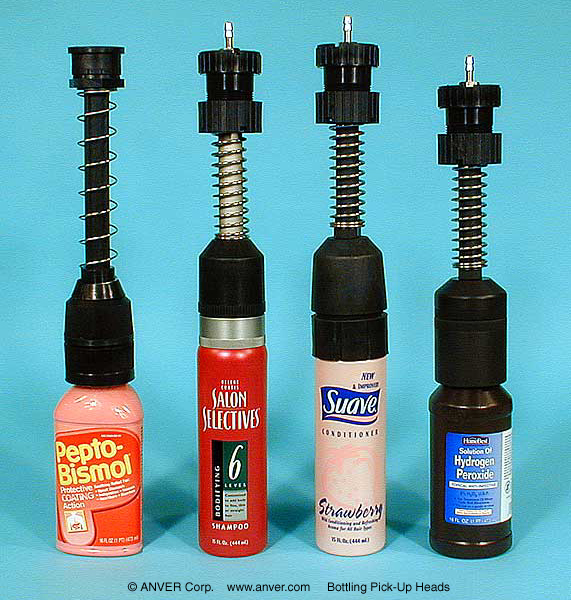 Internal air bladder or piston actuator to grip the neck of the container is accomplished with a three-way valve and less than 30 psi of compressed air. High Quality construction with the latest in materials for lightweight yet rugged long lasting quality. 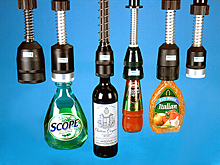 Used by many large OEM’s in the bottling industry as the pick-up head for case packers and unloaders. 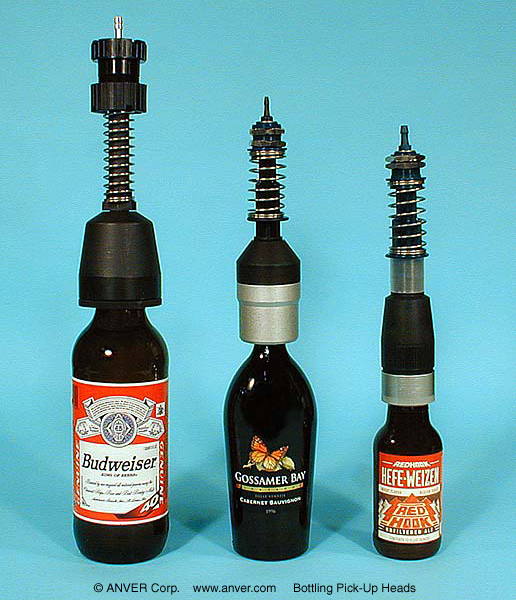 The bottling heads and all wear parts are available for replacement. Contact us with the part number, description and quantity of the parts needed and we can save you money. These are identical replacements and your satisfaction is 100% guaranteed. 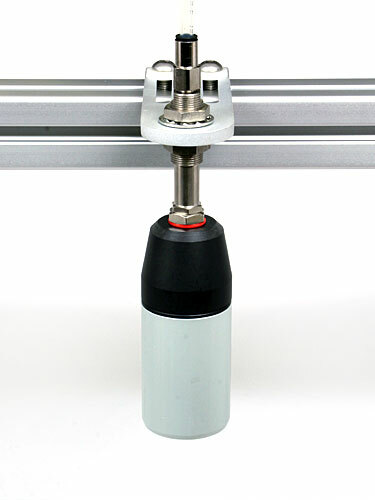 Note: We only supply Gripper Heads and the major wear parts shown and not the various mechanical parts found within Krones machinery. 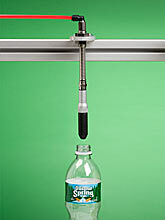 ANVER Robotic Bottling Pick-up Heads can be the best solution to your bottle handling needs. 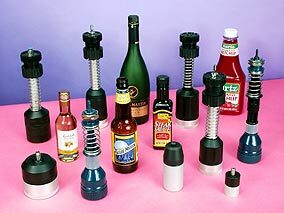 These grippers can lift, move, pack, and unpack bottles and similar objects of varying forms and dimensions. 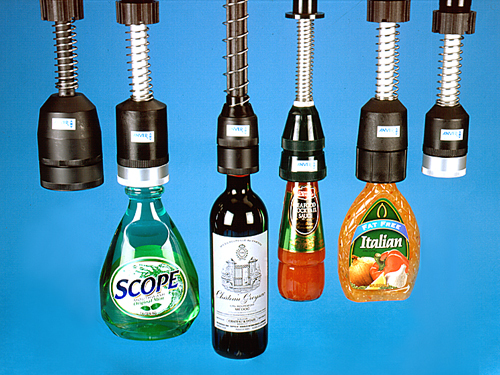 We offer a large variety of high quality bottling pick-up heads, ensuring that your bottles can be efficiently handled using simple movements and a strong grip. 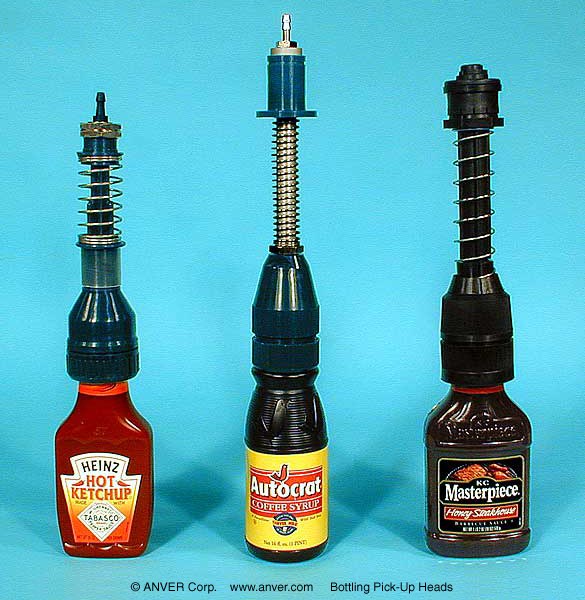 It is important that the correct pick-up head be chosen for your application. 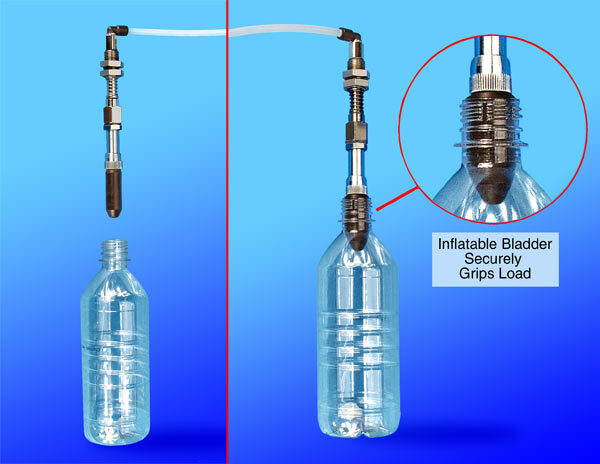 The size and shape of your bottle are the most important factors, but the internal materials that grip the bottle should also be considered in order to get the most out of your equipment. 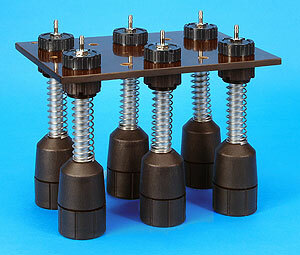 Contact our Technical Sales department and let us assist in finding the right Pick-up Heads for you. Krones is a registered trademark of Krones AG; Kettner is a registered trademark of Kettner GMBH large manufacturers with no relationship to Anver Corp. We just offer generic replacements parts for the common wear items that these and other companies utilize. 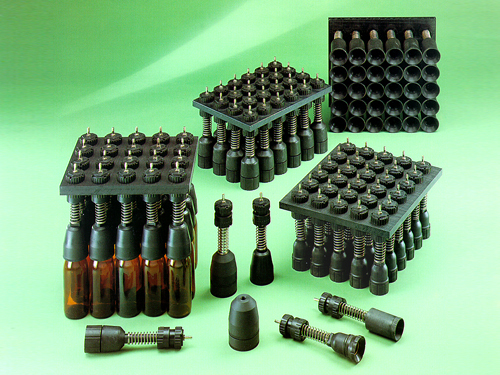 We got into Gripper heads as the materials and manufacturing is similar to the vacuum components we already make. 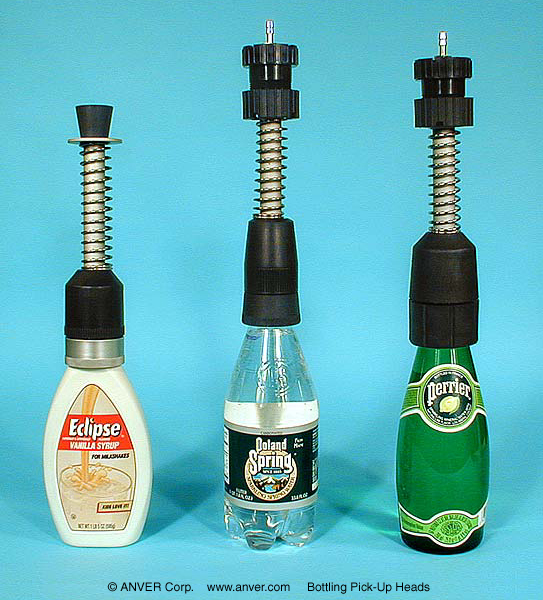 The difference is that they use pressure to grab the neck of the item instead of suction to lift it. 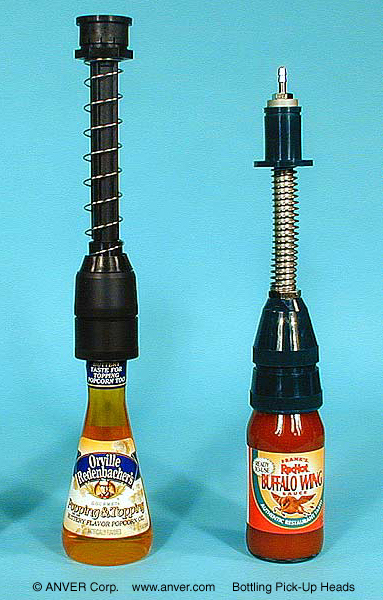 Note: Very little pressure is required to hold loads. 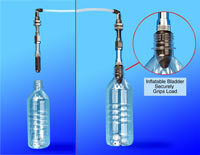 Using an air pressure regulator, dial down the force to only the minimum pressure required to hold the load and no more. This will greatly lengthen the service life of the replaceable rubber bladder. Use of excess pressure may rupture or force the rubber bladder off the end.